Home | Land University | Land University Blog | Property Setbacks: What Are They and Why Do They Matter? Property Setbacks: What Are They and Why Do They Matter? Property setbacks help everyone live comfortably. Consider them the breathing space of a space. If you’ve ever envisioned building your dream home, odds are you never pictured it built right on the property line. That’s because whether you realize it or not, you’re used to the invisible property setbacks that exist around most dwellings. Ready to learn the basics? Check out Property Setbacks: What Are They and Why Do They Matter? The legal definition states – property setbacks are building restrictions imposed on property owners. This can be a distance from a curb, property line, or structure within which building is prohibited. But that all sounds so negative and restricting. Basically, property setbacks tell you where you can and can’t build something, and for good reason. No, this isn’t yet another boring lecture on what you can and can’t do with your own property, so relax. We’re just sticking to the basics, remember? Let’s get to actual examples. Property setbacks can be anything from the space in your front yard and the distance between the sidewalk and your property line, to the side area between houses. There are even setbacks measured in the size of a parking spot to ensure each car has “breathing room” to open and close their doors. Better services – having space between houses and streets, etc., ensures that in the case of a fire or other emergencies, a first responder vehicle can get to you in a pinch. This is also true of maintenance vehicles like sewer, utilities, and cable. Better ventilation – Bet you never thought about it, but not having your house squished up against another house or roadways gives you cleaner air. That means you and your home won’t be breathing in toxic exhaust or your neighbor’s smoking habit. Better lighting – A no brainer, but property setbacks ensure that you have plenty of space around your dwelling to bring in natural light and better visual access. What good is a window if it’s touching your neighbor’s fence? Better sound insolation – If you’ve ever lived right next to a hwy. or train station, then you know how intrusive sound can be. Property setbacks help ensure we get better sound insulation by building away from busy intersections and other noisy environments. 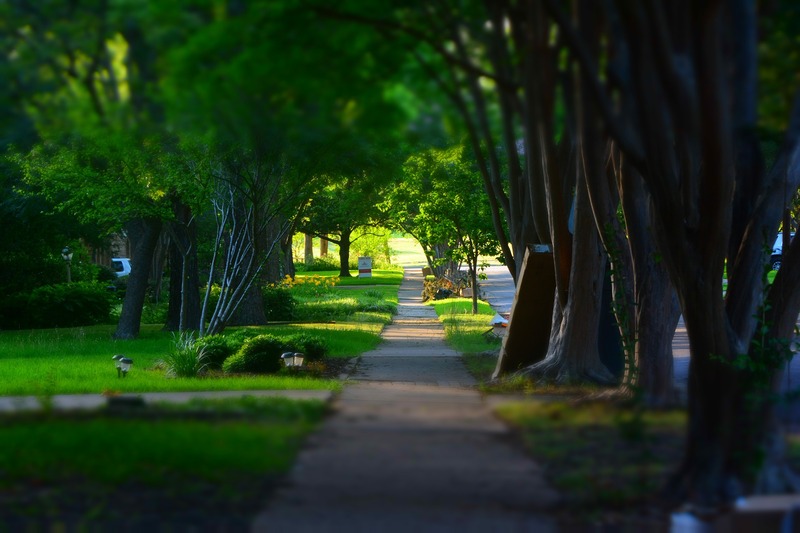 Better landscape – Even on big city buildings, you’ll see a green space with some shrubbery or even a fountain in front of your doctor’s office. This is to make the space more inviting and give a sense of ease. So the next time you admire the beautiful landscape in front of that office building, thank a property setback for that. Property setbacks help ensure buildings don’t fall over each other in the case of a natural disaster, like an earthquake or fire. They encourage outdoor activities in public areas, and help keep the sanity of society by giving people enough room to roam. While property setbacks are mandatory where several humans cohabitate a space, they do vary. Local governments determine these “no building” zones. Each city will have its own rules, meaning each area and even zoning district will be different. If you’re curious about the property you’re thinking of building on, just check out the neighbors. Typically each house or dwelling in that area will have the same setbacks. This keeps it fair and helps keep the neighborhood whining to a minimum. Are they set in stone? Nope. If you’ve got a special property with a condition that imposes hardships to your land, like a stream or an oddly shaped plot, you may qualify for a Variance, or exception to build where a setback once was. But don’t get too excited. If this “hardship” isn’t unique to your property and is shared by all the other properties in the area, then you likely won’t qualify. Remember, property setbacks are a good thing. They provide more open social spaces for people. And here at LandCentral, we love open spaces (seeing that we sell vacant land and all). What Is An Easement And How Can It Affect Me?